Although the application of BIM-enabled facilities management has the potential to add significant value to assets and estates, there are many challenges that need to be considered to make the transition easier and the benefits clearer to all. Graham Kelly provides an overview of the current approach to FM and what BIM can bring. Facilities management (FM) encompasses multiple disciplines with the aim of ensuring optimal functionality of the built environment – integrating people, places, processes and technology. It covers everything from maintenance and cleaning, real estate and financial management. The variety of these services highlights the complexity of the industry. At present, most new build or major refurbishment contracts require the manual handover of paper documents, each vital in supporting the management of facilities by the owner and facility managers. Existing buildings have varying levels of quality and consistency of information, largely due to this handover process. Construction handover processes benefit from having complete, accurate and required information available, to be easily located as needed. This prevents the need to invest additional time and money in recreating information and working with inefficient workflows. Even though the majority of costs occur during the operational and maintenance (O&M) phase, buildings are currently driven by short-term construction savings, rather than long-term operational savings. As a result, there is a substantial economic and environmental requirement to improve the management of new and existing facilities in an efficient way. Building Information Modelling (BIM) is defined as an integrated digital process providing coordinated, reliable, shareable data throughout all project phases from design through construction and into operation. There are currently four levels of BIM (0-3), with Level 2 set as a minimum target by the UK government for all public sector work from April 2016. 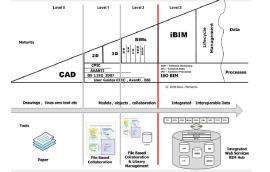 BIM Level 2 involves each discipline creating their own 3D model and sharing the information in a common data standard such as IFC (Industry Foundation Class) or COBie (Construction Operations Building Information Exchange). Throughout any project, information is collected, managed and shared through a common data environment (CDE) to ensure that everyone working on a project has access to the latest information. Government Soft Landings (GSL), which is incorporated within the BIM mandate on all public sector buildings, aims to consider the whole lifecycle of the asset during design and construction to ensure that whole life value is achieved and better outcomes are provided through BIM. BIM Level 3 involves full collaboration between disciplines over a single data-rich model for the project, shared on a CDE in a standard format, allowing for the smooth flow of information between the project team. 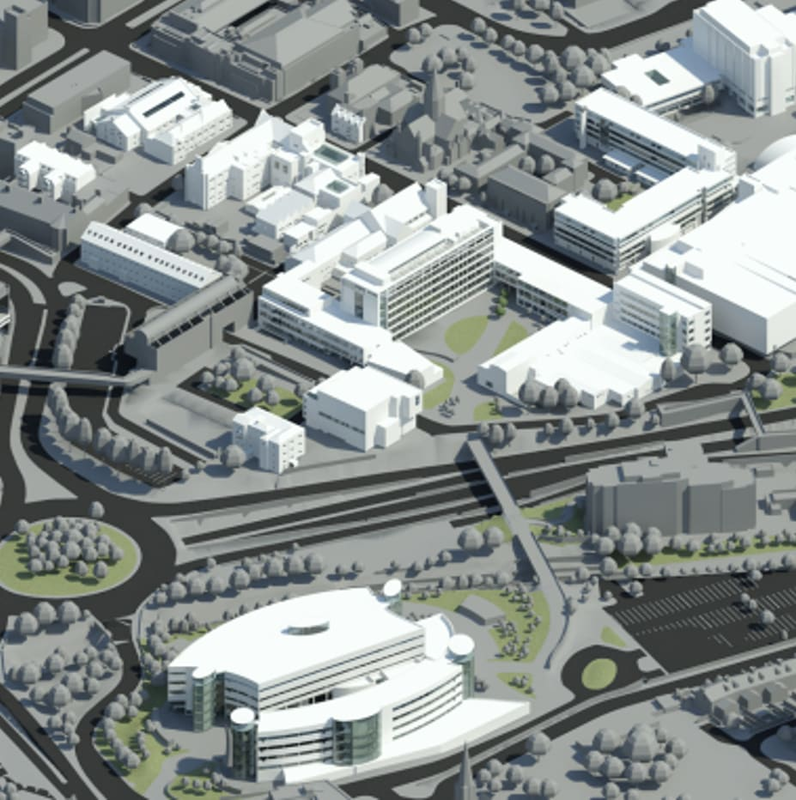 This is known as “open BIM” and aims to support a transparent, open workflow whilst avoiding conflicting information. However, while the aspiration for BIM Level 3 has been defined, delivering this in a practical way is still some way off. Among the main drivers for using BIM in FM is improving the handover processes. Data and information collected through a BIM process during the building lifecycle will reduce the cost and the time required to collect and build FM systems (even with current interoperability challenges). BIM will also eliminate the need to duplicate information in downstream FM systems. To better capture the value of implementing BIM-enabled FM, the following section is broken down into the categories of people, process and technology. Collaboration between the key people involved in the design, construction and O&M phases of the building allows for knowledge to be captured and exchanged for a better understanding of the whole lifecycle of a building. This in turn encourages longer-term thinking, that reduces the overall cost of the building. Early FM involvement is seen as a key opportunity for facilities management in the BIM4FM survey undertaken by the BIM task group in 2013. An improvement in BIM skills and understanding by FM professionals can only increase the awareness of BIM among clients. A greater demand from clients and enhanced collaboration between project stakeholders for modelling and model utilisation would also help to develop the implementation of BIM-enabled FM. BIM-enabled FM requires continuous maintenance to remain valuable, adding to the challenge of adopting BIM. The BIM4FM survey (2013) also supports this by emphasising that there is a challenge around the initial cost of software, but that staff training is also a cost that has to be allocated. The benefits of BIM-enabled FM need to be clearly proven before its application within the FM industry picks up. In addition, the design and construction industry need to see the business case for FM. This can be partly achieved by establishing long-term relationships by providing FM information services as part of the project specification aligned with the client’s goals. The BIM process and GSL identifies the need to engage those involved in the operational phase of a building during the design process, whilst ensuring that the needs of the end users are specified within the brief. This process of requirement gathering has been identified as Organisational, Asset and Employer’s Information Requirements (OIR, AIR, EIR) in the BIM process. This aims to ensure that the correct information is handed over. As such, adopting BIM could facilitate the future involvement of facility managers at a much earlier design stage. This will allow for key operational issues to be highlighted earlier on in the process, eliminating potential O&M problems and allowing for facilities to be run more efficiently. 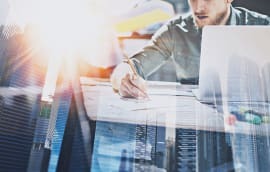 The traditional procurement of FM contractors, in which FM contractors are appointed for a period generally three to five years, is also considered an obstacle in BIM for FM. Short contracts can provide less of an incentive to consider the whole life cycle of a building and the impact of their current decisions on the O&M in the future. Changes in FM contracts can lead to improved information exchanges between FM contractors, preventing additional surveys of the existing building being undertaken to capture as-built conditions. This would make the process more cost effective, efficient and lead to reduced duplication of information. There need to be enhancements made to the workflow of handover data and the maintenance of that data throughout the life of the building. Currently, one of the major challenges for BIM-enabled FM application is the process of updating the model with as-built information. Ownership of BIM data and how to protect it through copyright and other legislation is still to be agreed. Additionally, who is responsible for creating and maintaining the model through the life of a building remains ambiguous. Licensing agreements are emerging in BIM policies as a feasible option that allow limited use to another party, while maintaining copyright and ultimate control with the initial creator. However, this solution does not fully appreciate the difficulties with embedded data and model validation. As a result, most contract forms still require the handover of paper documentation. The applications of BIM-enabled FM are much less explored compared to its implementation in the planning, design and construction processes. Despite new building works making up only a minuscule percentage of the total building stock in an average year, research into BIM applications in FM has mainly concentrated on new buildings. However, this has started to shift in recent years. The ability to capture manufacturer information in 3D parametric objects reduces the need for duplicating asset information significantly. BIM is considered an enabler to improve the quality and reliability of data, which will in turn result in increased workflow efficiencies. The quality of data will improve as more people become accustomed to working in a BIM environment. Data is exchanged in a standard common format, allowing for flexibility and continuous use throughout the life of a building, compatible with existing FM packages. The information exchange specification, COBie, was developed to provide the information needed to maintain, manage and operate facilities. However, it should be noted that while there is an agreement that COBie is necessary for structuring data, which in turn produces greater interoperability between different software, FM still needs to provide details on what information is to be provided, when and by whom. BIM provides various users with the ability to extract and analyse views that are specific to their needs, which will assist in making decisions and improving the maintenance of facilities. For example, 3D visualisation can help FM technicians to better utilise their perceptual and cognitive reasoning for problem solving. BIM visualisation provides accurate geometrical data that can support the analysis of building proposals and the simulation and benchmark of performance. For example, intelligent algorithms could be created to automate decision-making for FM applications, which was never possible before the addition of digital data. 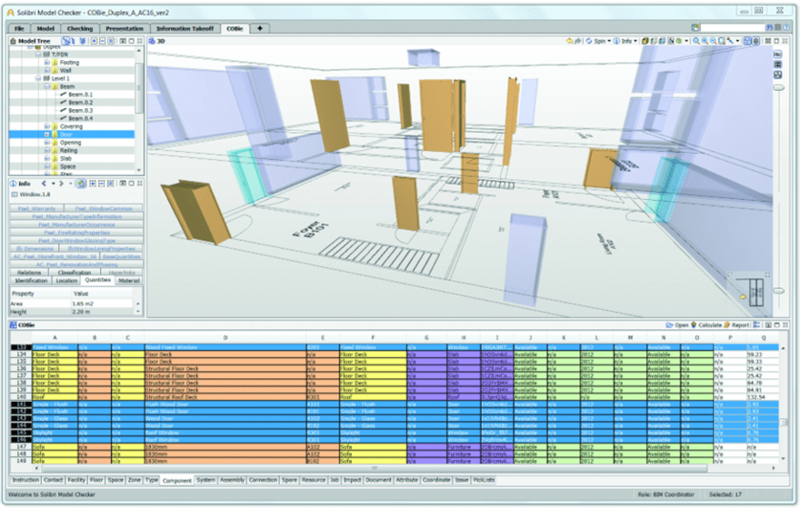 Scenarios showing the benefits of BIM-FM interventions, such as troubleshooting broken equipment and improving ergonomic conditions, are emerging. Other important BIM-enabled FM applications are in monitoring and controlling, emergency management, space management, and personnel development and training. For refurbishment projects, BIM and associated technologies (such as laser scanning) are expected to reduce the cost of producing as built information and the accuracy and reliability of FM information. Researchers are already exploring ways of integrating scanning technology with BIM. 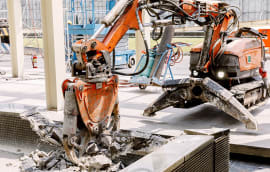 This also extends to the enhanced data capture of existing buildings with non-destructive testing techniques to analyse materials and existing properties, as these will not be captured in a scan. To date, little attention has been given to the ongoing issue of the interoperability between BIM technologies, and current and legacy FM technologies (e.g. Computer Aided Facility Management Systems (CAFM)) during the handover of information and data to operation stage. The existing systems need to be linked to BIM technologies to enhance, support and leverage the existing information and process. This is also highlighted in the BIM4FM survey (2013). It is essential that BIM data is transferred or linked to existing FM legacy systems and used to improve current methods of operation, in order to support the business case for adopting BIM on existing assets. During the life of the building, a facility should exist for information to be updated which is also responsive to change. There is a need for standardised data libraries and open systems that can be utilised by any CAFM or asset management system. Without such non-proprietary formats, facility owners and managers must dictate which proprietary information systems to use, or re-input information into a CAFM system. Re-inputting information into relevant FM systems is inefficient, timely and costly to the owners and facility managers. It is also suggested that there are challenges based around how and where to update the data, whether it is in the native BIM or in the CAFM system. FM needs to identify vital areas that may be overlooked and feed this back into the design process. 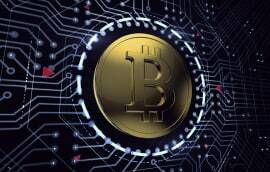 However, the underlying ethos seems to be that we all have a degree of blindness in terms of knowledge, yet by all collaborating together the full picture is revealed and with it, a better understanding of how to make the project deliver true value to the client and end users. As FM becomes more confident with BIM and understanding the process, they can then feed their knowledge back into the Asset Information Requirements (AIR) which informs the Employer’s Information Requirements (EIR) for future projects. This then ensure that the correct information is requested and produced at handover. As it can be seen, by embracing BIM the FM process can become substantially more efficient, and then some. Great article but let's be clear BIM Level 2 DOES NOT REQUIRE IFC #fact. PAS 1192-2:2013 section 9.1.4 notes Native format only. Digital Built Britian Strategy (2016) refers to BIM Level 2 + IFC as BIM Level 3A. IFC is being used by a lot of information managers as a way to generate COBie. IFC for most is still a black art when trying to get data out of Revit correctly, especially when OOTB installation files for the Autodesk SourceForge IFC exporter file IFC2x3 Extended FM Handover View.txt contains a lot of errors. Thank you for a clarifying and really “spot on” article! Based on my own experiences I totally agree that “the major challenges for BIM-enabled FM application is the process of updating the model with as-built information” and that “the design and construction industry need to see the business case for FM” and I have urged people to read it in a posting I have made on LinkedIn, where I also have challenged some parts in the article. BIM is excellently coupled with Facilities Management in order to receive the best possible outcomes and has got proven benefits to the construction industry since years of its implementation. The blog best explains the vitality of FM in the field of BIM in AEC industry. What software is best for BIM /FM? This article is a good step in the right direction, but an important issue not directly addressed is the role of the owner in making it possible for better BIM/FM integration. The underlying issue is that most owners split the problem of capital development from building operation. They often report to separate VPs and compete for funds. 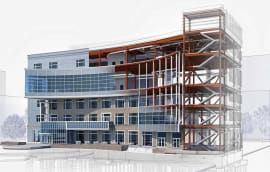 As a result, the life-cycle view of a building is not optimised and results in poor or no collaboration of FM during the design stage, when the major decisions are reached that will influence the design of the various systems and how these will be represented and named and transferred to FM during and at the completion of the building. This is a basic flaw of the building procurement process. The handover of paper or pdf documents is completely obsolete as they cannot be used to support FM systems and quickly become obsolete as systems are modified and enhanced. Thus, a new approach to the use of digital data is needed that can be supported over the entire building life-cycle.